Lois Anne is an experienced medium and author who uses her gift to bridge the physical and spiritual realms in an atmosphere of love and understanding for the purpose of bringing clarity, healing, and connection to those on both sides of the veil. A gifted facilitator of healing, Lois Anne is passionate about helping others identify and shift old energy imprints (thoughts, feelings, beliefs) and re-awaken to their own truth. Lois is a published author and certified Ama~Deus Instructor (one of five accredited in North America by the International Ama~Deus Association). She has studied with international mediums and healers from around the globe although it is her own healing journey that has taught her to embrace others with gentleness and compassion. She has been in the healing arts community for more than 25 years. Lois maintains a continued commitment to her own journey and a deep passion to help all who come to The Cottage. In the first years of her life, it became apparent that she had been born with extrasensory abilities. It was because of Teal’s extrasensory abilities that she was taken as a child (unbeknownst to her parents) into a local cult called The Blood Covenant by a family acquaintance (who was a sociopath with dissociative identity disorder) and was ritualistically tortured for thirteen years. She managed to escape from the cult when she was 19 years old. Since then, Teal has become a “spiritual catalyst” both accepting and utilizing her abilities to remind people of the united, energetic, nature of this universe and to teach people how to find bliss in the midst of even the most extreme circumstances. Venus is currently Venus Debilitated, Combust, With Rahu and in an Exchange With Retrograde Mercury. Venus is the planet we use mostly as adults when interacting with each other. Whether it is in business or romantic relationships, the main skill we use is mutual respect. When we are able to honor another person’s wishes equal to our own, smooth personal and business relationships follow. When we either compromise too much, and sell ourselves short – or assert our position with too much passion, both business and personal relationships suffer. At the heart of the matter is happiness and the desire that follows the wispy promise of what makes us happy. Beauty, love, harmony are all universal principles that has their origin in the venus principle. But how high of a price are we willing to pay for those things? Are we selling our principles down the drain to get them? Currently these issues are confused and confusing as there are several different stresses on Venus. When Venus is in Virgo we may be acutely aware of all the many reasons why we are not happy and all of the many imperfections of those around us who just don;t seem to get it. I mean really what is wrong with these people, clearly they are here to make YOU happy, right? When Venus is combust it is very close to the Sun, creating a sort of “cosmic sunburn” on these issues of respect. Think of all you do, and yet all people do is ask for more. “Combustion” is one of the “Deeptadi Avasthas”, called “Kopa” (Angry / frustrated). Rahu creates confusion with these issues of self-respect and compromise with others. It also explodes desires and distorts the issues and may have you quickly accelerating and escalating things sexually with another – or frustrated because that is not happening. Venus is in Mercury’s sign and Mercury is in Venus’ sign. This exchange creates a dialogue between these two forces. Mercury shows flexibility with others and works hand in hand with Venus, as we navigate the slippery slope and ever-changing landscape of mutual desires. Given that Mercury is also retrograde now, there is confusion about how to process, communicate or understand what is being asked of us now, in relation to others. Life was falling apart. Within the space of three years, New York Times best-selling author and six-sensory spiritual teacher Sonia Choquette had suffered the unexpected death of two close family members, seen her marriage implode, and been let down by trusted colleagues. And sympathy was not forthcoming. “You’re a world-renowned intuitive guide and teacher,” people jeered. “How could you not have seen this coming?” Having intuitive abilities didn’t make Sonia superhuman, however. Nor did it exempt her from being wounded or suffering the pain of loss and the consequences of our all-too-human traits such as anger, resentment, and pride—traits that can lead even the best of us to stray from our path. 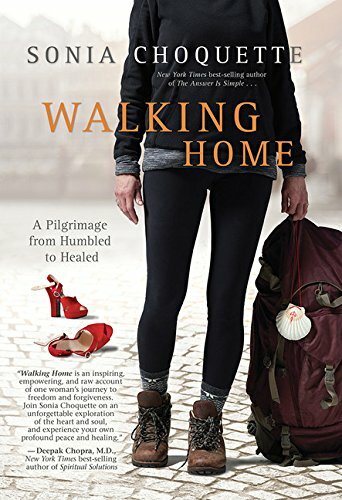 In order to regain her spiritual footing, Sonia turned to the age-old practice of pilgrimage and set out to walk the legendary Camino de Santiago, an 800-kilometer (500-mile) trek over the Pyrenees and across northern Spain. Day after day she pushed through hunger, exhaustion, and pain to reach her destination. Eventually, mortification of the flesh gave way to spiritual renewal, and she rediscovered the gifts of humility and forgiveness that she needed to repair her world. Sonia Choquette, a world-renowned intuitive guide and spiritual teacher, is the author of 19 international best-selling books, including the New York Times bestseller The Answer Is Simple . . . ; as well as numerous audio programs and card decks. Sonia was educated at the University of Denver and the Sorbonne in Paris, and holds a Ph.D. in metaphysics from the American Institute of Holistic Theology. Her work has been published in more than 40 countries and translated into 37 languages. A member of the Transformational Leadership Council, she is also the host of her own weekly radio show, Six Sensory Living. To learn more about Sonia, please visit http://www.soniachoquette.com. Click Here to read instantly. (sorry for the background sound) Video recorded in Starbucks because of the weather, on St Martins Lane, London. Could not shoot Leicester Square any more! 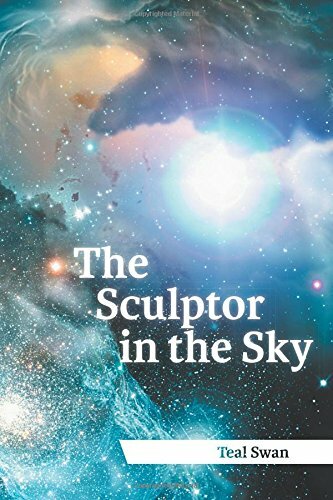 ..
Sonia Choquette is a world-renowned author, storyteller, vibrational healer, and six sensory spiritual teacher in international demand for her guidance, wisdom, and capacity to heal the soul. Her books have sold over a million copies world wide including her New York Times bestseller The Answer Is Simple… She is most recognized for her ability to instantly change vibration, lift depression, and connect others to their intuition. She helps people understand their souls’ plan and purpose and leads them to a successful, meaningful and peaceful lives. Dedicated to liberating people all over the world from the severe limitations, that comes from perceiving the world with only five senses when we in fact have six senses, and opening others up to the joys, healing and personal empowerment of six-sensory living. A gifted and often hilarious teacher and speaker, Sonia is straight to the point in showing people exactly how to immediately transform their life experience from fear to joy, activate their intuition, awaken their spirit, and live as the empowered beings they are naturally designed to be.